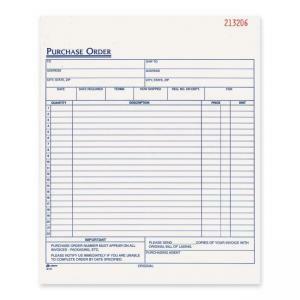 Purchase Order Book contains a two-part carbon less format with white original and canary duplicate. Form has space at top for company stamp. 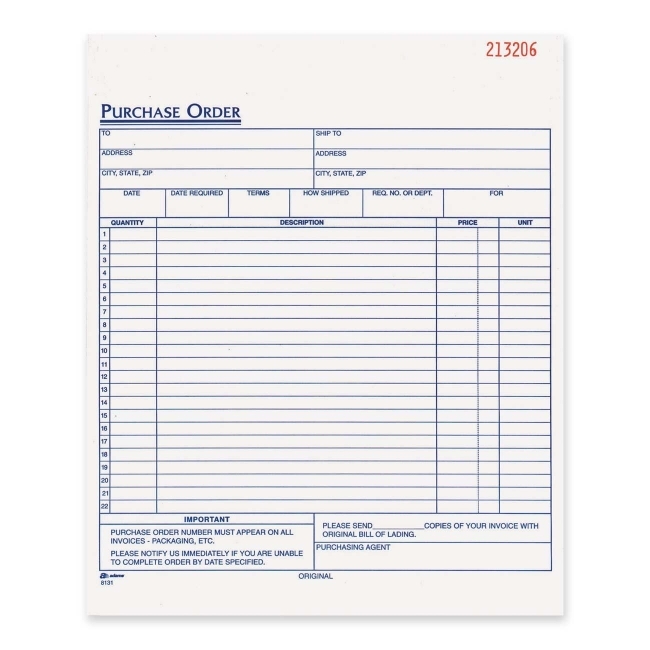 Forms are consecutively numbered within each book. Book is tape-bound. Wraparound cover is attached to back. Place wraparound cover between sets to prevent write-through. 50 sets per book.